We're saying goodbye to Dr. Jenn as our leader and welcoming Diedre West as the new head of the Healing with Horse Collective. Here is Dr. Jenn's parting message followed by your first chance to meet Diedre! 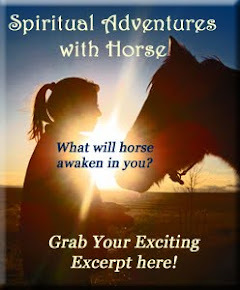 THANK YOU to each and every one of you for following your passionate purpose with horse. Together, horses are transforming hearts all over the world. Here's to YOU, thriving in 2016! 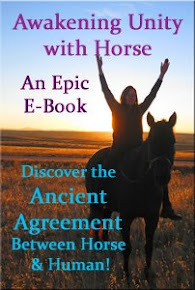 You can stay in touch with Dr. Jenn by joining the newsletter over at UnityWithHorse.com. May your HeartLight illuminate a path of beautiful LOVE for all the world to shine! SHARE: What's YOUR vision for your equine business in 2016? Please comment below. Thanks so much Jen. You did a wonderful job and we came to know you and your herd so well. All the best in the future. Thank you Dr. Jenn for all you have done for this work and for your tireless dedication to the message of "Horse"! And WELCOME Diedre! You appear to be the perfect woman to take on the leadership of this awesome 'herd' of equine assisted practitioners that Dr. Jenn has assembled. I look forward to getting to know you! Blessings to you, Dr. Jenn - I don't know how to thank you for your amazing gifts to this community. I am truly grateful. I wish you all the very best and look forward to staying in connection with you. Thank you for turning over the reins with intention to Diedre, who I know and trust is exactly the right person for the mission now. Thank you, Dr. Jenn. you have made a great contribution!